Saying that the Inhumans and the X-Men are not getting along would be an understatement. In December, tensions between the two superhero groups will become so bad that the Inhumans and mutants will finally fight head-to-head in Marvel’s “Inhumans vs. X-Men” event comic series. A plot summary for the first issue included with Marvel’s December solicitations released on Tuesday could be a clue as to why the two factions finally decide to face off. According to Marvel, Beast, a former X-Men who defected to the Inhumans, discovers that the mutant race only has two weeks left to live. This is a result of the alien mist that, while beneficial to Inhumans, is toxic to mutants. Strapped for time and left without a cure, tensions explode and the remaining X-Men who haven’t died from poisoning fight the Inhumans who have previously stated a desire to spread the mist across Earth to help other Inhumans. The Inhumans are a race of superpowered individuals first introduced in Fantastic Four #45. Inhumans have their powers awoken through an alien substance known as the Terrigen Mist. While the Mist gives powers to people who are already Inhuman, the substance has no effect on normal humans. The only problem is that mutants are actually negatively effected, leaving them poisoned and sterile. The problem then is that the Inhumans wish to spread the mist to awaken more of their kind, while mutants would be left to die if that were to happen. The Inhuman and Mutant factions are led by the Inhuman royal family and the X-Men respectively. While the two have joined forces in the past, it seems that the two-week survival period of the mutants forces them into trying to stop the Inhumans from advancing their plans. The Inhumans have slowly become a fixture in the Marvel universe, appearing in more comics and becoming an important plot device in Seasons 2 and 3 of Agents of S.H.I.E.L.D. A planned Inhumans film was slated to join the Marvel Cinematic Universe until very recently when the plans were put on hiatus. Fans, however, have been complaining that the Inhumans have been replacing the mutants as Marvel’s de facto superpowered species for quite some time. This is evidenced by the purposeful extinction of the mutants within Marvel canon. 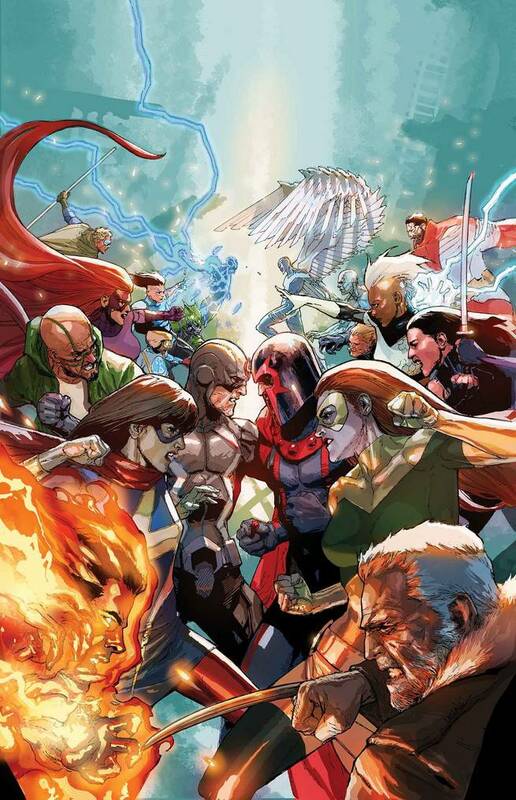 “Inhumans vs. X-Men” will finally put all these problems at the forefront when two factions fight for supremacy. We will find out in December.